Retirement is a major life transition, as life-changing as having a new baby or getting married. All major life transitions, even those we have anticipated and hoped for are stressful. Leaving the world of school and student life and entering the workforce is a major life change that we may have forgotten about. We adjust ourselves to work throughout the years with a limited amount of free time and learn how to navigate the systems of our workplace, to advance ourselves and reach certain goals. Our lives are more continuous and similar from season to season. Typical planning for retirement consists primarily of trying to set aside the money we will need to support ourselves as we age. It is essential that we also consider planning for ourselves, emotionally, socially and physically in retirement. Amazingly many people will spend more time planning a week long vacation than planning for their personal well-being in retirement, a life stage that may last 30 years. Retirement has changed significantly since it was first imagined. Retirement as traditionally designed was estimated to last only a few years and was seen as a reward for spending most of one’s life at work. Improvements in public health and increased longevity means that people must now plan for a period of time that can be as long as one’s career and will likely include years managing health challenges that might be chronic. High quality social science research on what makes a good retirement is relatively sparse because this is such a new phenomenon. Only two findings have been clear and robust. First, people will do significantly better in retirement if they feel they have chosen it. 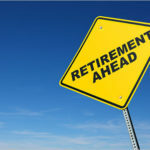 Forced retirement due to downsizing or health problems creates a larger challenge. It can help for us to imagine these scenarios and how we may want to deal with them before they happen to us. While we may not have a choice about certain events, we do have a choice as to how we want to respond and prepare ourselves for them. All of us need to imagine how we will handle these circumstances if we still want to work. The second finding is that going “cold turkey”…working full time and then not-at-all is very difficult. Research shows that people will do better if they transition first to part time work or an encore career before they stop working. Work provides us with meaning and purpose as well as status and social outlets. Work also gives structure to our time and our days. These intangibles are very important and we need to be ready to replace them. Transitioning by slowly reducing the amount of time we work is the best option if that is possible. Retirement is a period of life that can be rewarding but be sure to do as much planning for your psychological portfolio as you do for your financial portfolio.